In the 1990s, there dwelled a cabal of musicians in France called Les Légions Noires which specialized in basic, raw, occult black metal. Many of the LLN releases were superb, most however, were significantly less than appealing. One of the more exceptional records to be served out of this French cauldron is Mütiilation’s debut album Vampires of Black Imperial Blood. Stylistically, this album is similar to Black Funeral in terms of both riffing approach and occult fascination. This release works on its ability to place the listener upon the fulcrum between terror and nightly beauty. Cavernous rivers of melody advance and collide in such a way that it plunges the listener through a gloomy current that fluctuates between those two sensations until they are indistinguishable. Vampires of Black Imperial Blood is often eclipsed by the oppressively colossal Remains of a Ruined, Dead, Cursed Soul that would come later. This makes sense because their sophomore effort does indeed leave a more lasting impression. However, to skip over this album would be a mistake as it nails down the grisly basis for the mastery to come. Some things don’t age well, like mayflies or disco. Certain voices in the mainstream rock media have applied the same criticism to traditional heavy metal, claiming that its days have come and gone. Fortunately, they are incorrect as is evident by bands like Infernal Manes who continue to stoke that old flame without being solely a repetition of the older days in celebration of glories departed. But this band has its own very modern take on the ancient art of heavy metal. 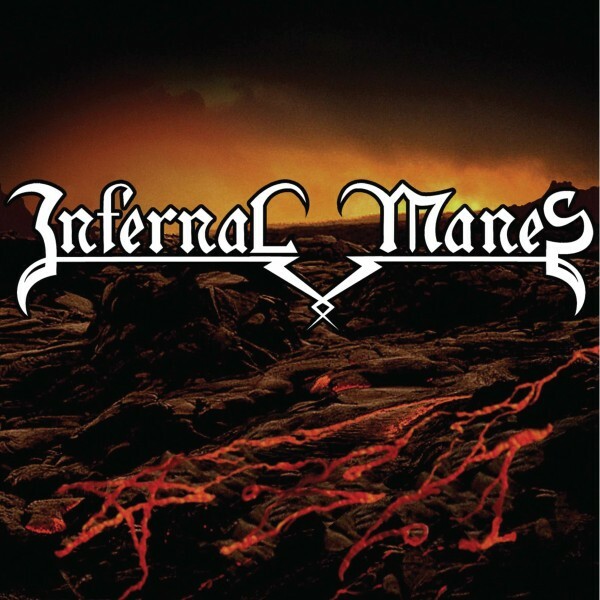 Infernal Manes comes to us from the cold coasts of Norway with their self-titled debut LP. These traditional Norsemen have composed an energetic album of melodic heavy metal that tips its hat to Iron Maiden and Mercyful Fate. Songs follow the standard verse-chorus format, but this imaginative album delivers not only heavy metal ancestral nostalgia but highly effective songwriting that knits together compelling riffs into an effective, cohesive format that provides the listeners with a spirited voyage into the days of yore. This band would stand on its own in any age but as we live in the present, it chooses to comment on the long and interesting history of heavy metal. The only downside to this album is that it occasionally suffers from “Crazy Train Syndrome” — named for an Ozzy Osbourne composition in which an enigmatic chorus riff was paired with a joyous, almost witless bouncy hard rock riff in the verses — in which a few randomly emotionally jarring riffs disrupt the otherwise concise flow of the songs. For the most part however songs fit together well like the fine craftsmanship of a traditional artisan. Infernal Manes deliver exactly what you would expect from an old school heavy metal band, but with a bit more precision and efficiency. Complete with heroic and anthemic passion, Infernal Manes ensures that the old flame remains lit. One day, a man decided he wanted to be a lion, so he went to a local costume store and bought a lion suit complete with a mask and gloves that looked like lion’s paws. The man then went out into the city telling everyone that he was a lion. One citizen approached him and told him that he wasn’t a lion, but a man in a lion’s costume. The man responded in protest: “I am so a lion! I have the paws of a lion, I have the face and body of a lion, and I can roar like a lion too!” The man then let out a roar that attracted pedestrians to the two debaters. The man-lions accepted the challenge, and the twelve of them went into the wilderness to live with the lions. They found a pride and wandered towards them on all-fours, imitating lion behavior, but the wild lions snarled at them. One of the man-lions got too close, and was struck by a lions claw. The wounded man-lion ran away, throwing his lion mask into the air as he dashed off. The remaining man-lions approached with caution, but were halted by a whistle a quarter-mile behind them. If you are a false, do not entry! The average person likely thinks of punk music as associated with the anarchist punks interested in politics which are the prevailing stereotype of the genre. He may also consider the pacifistic music emanating from the pop punk style. It is rarer to find someone who mentions the ugly, mythology-drenched anthem to horror present in the legendary Earth A.D from the Misfits. Punk music was already in the midst of a paradigm shift set in motion most notably by Discharge from the UK who introduced a more violent and apocalyptic sound and lyrical path. When other punk bands wrote about the injustices of politicians, Misfits took a much more morbid route, injecting the destructive spirit of Discharge and wrote lyrics about horror movies, demons, and murder. The result is a dark and churning offering of horror punk, a style pioneered by the Misfits themselves which verges close to the metal sense of a mythological view of history as a means of interpreting the personal. 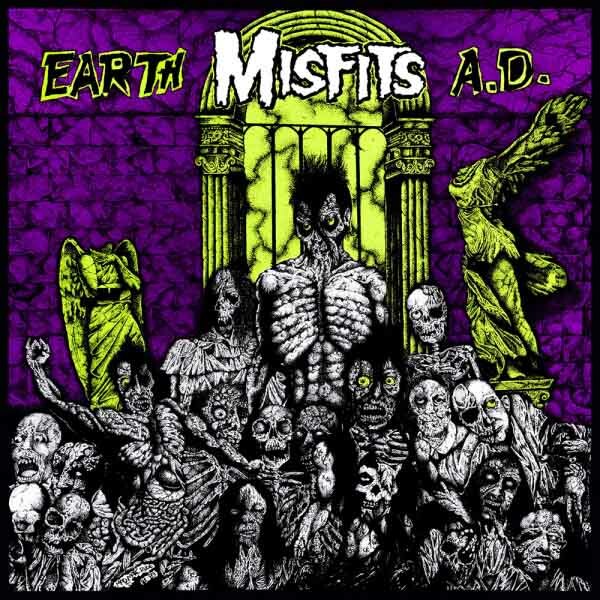 Though still relatively footed in rock music, Earth A.D. is most definitely the Misfits album with the most prevalent metal influence: pulsing rhythms carried under the wings of the riffs that flail in constant motion. Bracing levels of distortion and dissonant tones make this album both memorable through its hooks and blistering in its impact. Where most punk wanted to sound like a protest calling for pity, Earth A.D. delivers a short, biting, and menacing experience from an era that would change music forever. In the 21st century, quality death metal makes itself scarce in a genre that has become disappointingly stagnant since its peak in the mid-1990s. Any gems are shrouded by a haze of technical masturbation bands and equally soulless candied old-school imitators. The musicians no longer understand their art. 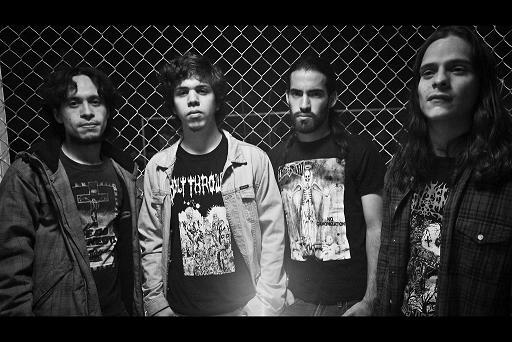 Some challengers exist, such as Phobocosm, a recent addition to the death metal roster. 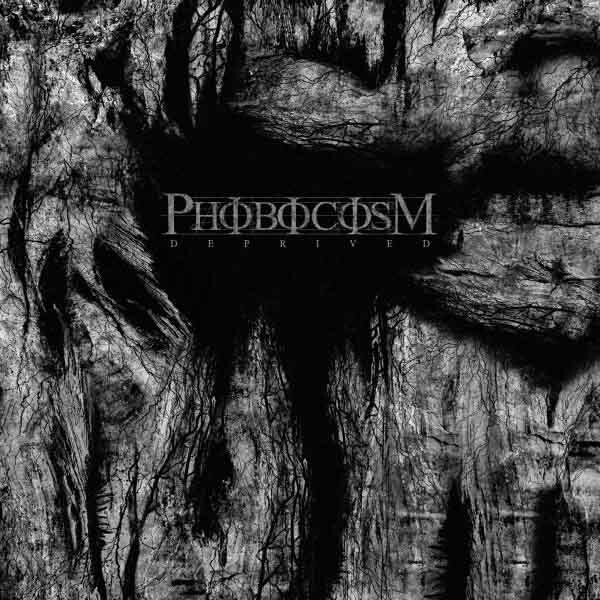 Phobocosm are a death metal band rising from Montreal that compose dark and dirge-like death metal in the vein of Incantation and perhaps Evoken, but with their own unique voice. They released a song entitled “Solipsist” from their upcoming full-length Deprived that burns with apocalyptic fervor. The song begins with a chilling melody that picks up intensity and evolves into the musical representation of souls wandering across a vicious and ominous wasteland. This music exemplifies the spirit, and delivers crushing blows. Phobocosm have the misfortune of inheriting a genre that peaked, attracted infiltrators and imitators, and now languishes in a mass of technically-competent but empty material. The Canadians try to rectify that with solid songwriting before they get to the technical parts, which makes Phobocosm a band to watch. Their debut album, Deprived, arrives via Dark Descent Records on September 30th. 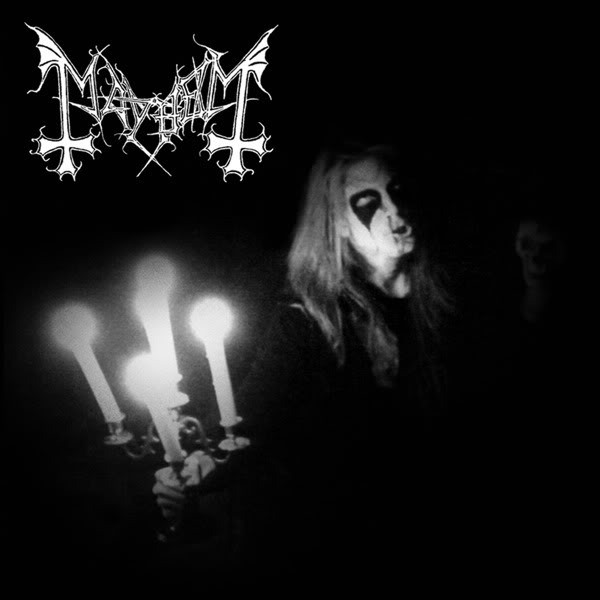 Many metal bands feature occultist or Satanic imagery and lyrics. However, some metal bands took this Bible verse as a challenge and created blasphemy on a theological level, denying God with a philosophical basis. Since metal has always been fervently anti-dogma and a firm believer in a boundaryless existence, the notion of sin is, in itself, a sin. Here are five anthems of rejection that took the final step and committed the unpardonable sin. 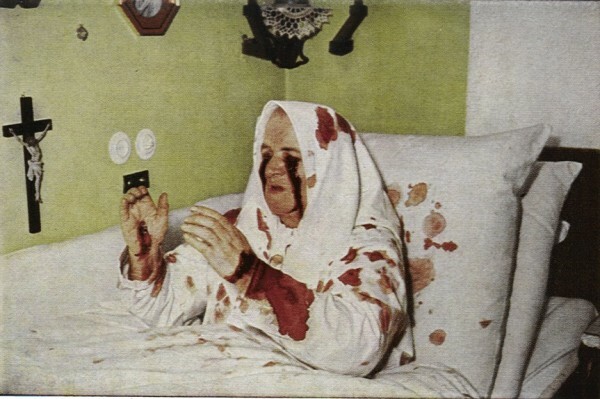 Taking a mortalistic approach, Rotting Spiritual Embodiment claims that the Holy Spirit dies with the body that it inhabits, thus affirming an absence of all metaphysics and a sheer physical basis to life itself. This form of materialism proves more dominating than even atheism as it denies the basis for a holy presence and argues instead that it is mere physical illusion. The crushing and darkened power chords seem to compel the embodiment — the physical form of the spirit — further and further into obscurity. Holy apparition, seeking death to save. Sins of the flesh, the cadaver is unfit. Penetrate the mind and body, spirit is incarnated. Embodied with the putrid corpse. A call to arms for blasphemy and a declaration of a life free from the clutches of religious dogma, this song takes a straightforward approach to blasphemy through invective condemning God and arguing for his invalidity. It also directly blasphemes the holy spirit in the chorus. Complete with Satanic and Thelemic philosophy, this is a sonic symphony straight from the fiery depths. Immolation, while anti-religious, never took much of a Satanic approach to their opposition. They present their views from a more atheistic standpoint, and in the pulverizing song, “I Feel Nothing,” Immolation pose the question: Where is the Holy Spirit? The song describes a person who cannot feel the Holy Spirit within them and they refuses to force themselves to believe, so they reject its existence along with the rest of the trinity. When you think of blasphemous death metal, Deicide undoubtedly comes to mind among the first few entries. Not only does the band name advocate the murder of God but the entire approach of the band denies any form of inherent or mystical order. In “Behead the Prophet (No Lord Shall Live),” Deicide describe the Holy Spirit as foredoomed and proclaim a devilish victory over the holy. Execrate the revelation, MASTER SATAN RISE! Concluding this list is a cold and blasphemous sermon from the great Paul Ledney of Profanatica, Havohej, Incantation and Revenant among others. To go too far in depth about this piece would be to undermine its experiential value to new listeners. I’ll say only this: “Dethrone the Son of God” is the spirit of rejection translated into a litany embracing hell over the “pure” but delusional spirit of believers. Even back in the early 1990s, people referred to Num Skull as “old school death metal” for its plodding, dark cadences and thudding primitive riffs. Now the most famous artifact of this band, Ritually Abused, will terrorize your living room thanks to a re-issue through Relapse Records on September 16, 2014. Famous for engaging but highly basic music, Num Skull reduced death metal to its simplest elements and tied them to a groove which replaced rhythmic expectation with a pounding certainty like the march of undead armies across a wasteland. Songs followed much of the format of those of early death metal innovators Possessed but did so at a slow dreadnought pace alternating with high-speed violence, mulching listeners into paste with militant power chords. The Relapse re-issue of Ritually Abused will include a bonus track from the ’86 demo “Num’s the Word” to commemorate the original release of the album 25 years ago. 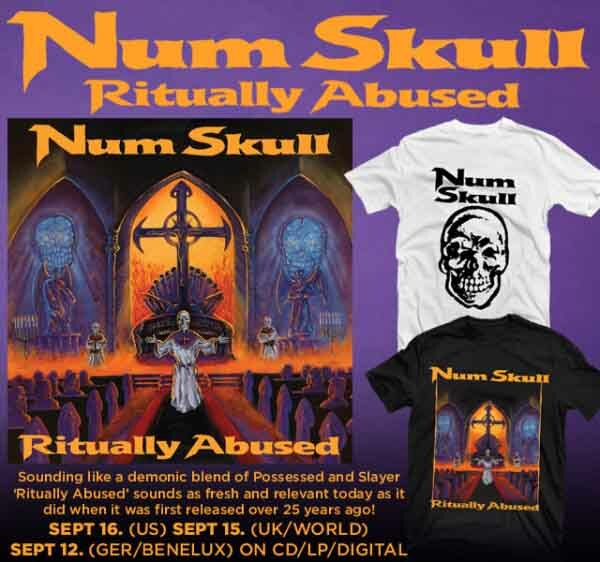 You can pre-order Ritually Abused in LP or CD format with or without a t-shirt bundle at http://www.relapse.com/numskull. The metalcore explosion — djent, math metal, ultra-jocky tech-death, post-black metal, smooth melodeath — pushed itself to the forefront of most American scenes holding the false banner of metal. Adolf Hitler’s minister of propaganda Joseph Goebbels said that “if you tell a lie big enough and keep repeating it, people will eventually come to believe it.” Rock bands that borrow a few aesthetic metal stylings and graft them on to punk songs can proclaim themselves as metal and tell the press which repeats the Big Lie until it becomes so in the minds of most people. Songs shifted their focus from the mythological-historical narrative of metal and like all other rock, became obsessed with the individual, teenage angst, and narcissism. By this method the genetic coding and spirit of metal was wrecked and replaced with just another commercialized product. Why? Because the spirit that metal music exemplified didn’t appeal to the self-obsessed mainstream crowd. They do not seek intellectual and spiritual challenge in the music they listen to. They want quick, easy, disposable background music that reflects and validates the one-dimensionality of the personas they have adopted. Most contemporary metal consumers consider metal to be just another form of entertainment like a football game, superhero movie or reality television. Because of the large number of people that hold that sentiment, the message (and the music as a result) suffers and gets confused. Heavy metal represents a brave and inquisitive spirit diving into the unknown to find meaning and beauty. It challenges dogma and stasis and rejects conformity and inaction. Its very foundations are based in horror, grim Nietzschean realism, darkness, and the occult. 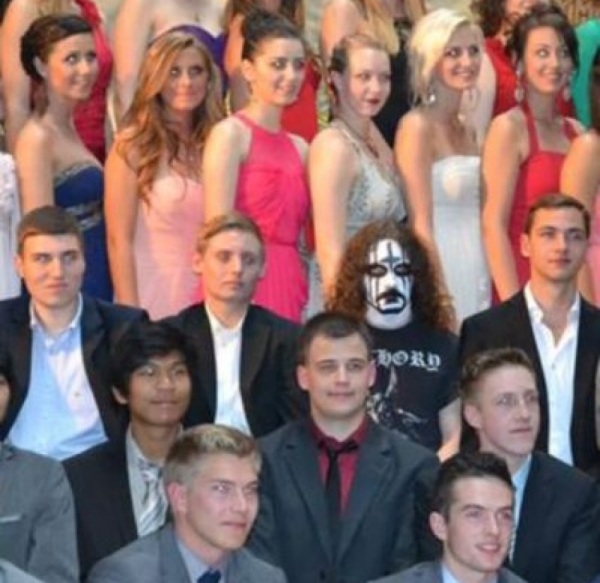 Instead of fearing these dark forces metal admires them a necessary aspect of a full and intense life. It de-emphasizes the individual, reminds us of death, and praises the power of the natural world. The unsafe tendencies of the metal spirit forces the mainstream acts who want to assimilate it to pick-and-choose surface styles that would appeal to mainstream audiences (distorted guitars, fast drumming, etc) and incorporate those alone into their style. At its core this new music is the same as rock, pop and television: no structure, all surface appearance. The spirit of metal gives meaning to music and forces the aspects of its surface appearance to reflect its inner organization. Without that spirit, what metal communicates to the listener is lost and the aesthetic elements that make up metal become meaningless. That meaningless was the goal of those who would assimilate it, because if they take the core out of the metal, they can turn it into a product for their own purposes. Celebrate the metal spirit and keep it alive through supporting or creating quality metal, because its wisdom and dark splendor is eternal.